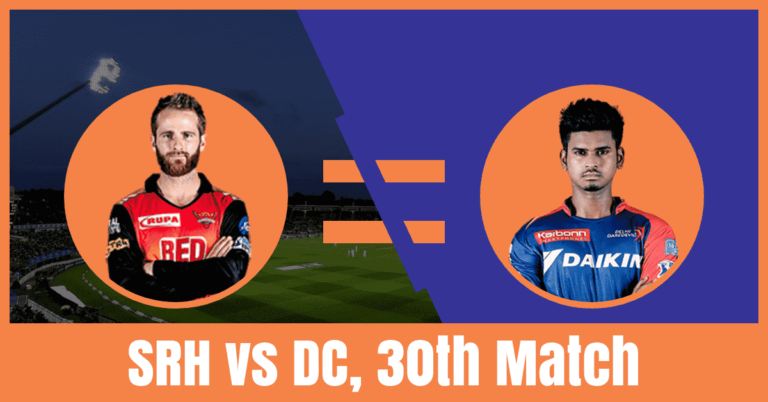 Who Will Win The Match Today of SRH vs DC 30th Match Indian Premier League 2019? Today the second match of the super Sunday will be played between DC vs SRH. Sunrisers Hyderabad is all set to take on Delhi Capitals on Sunday, April 14, 2019, at Rajiv Gandhi International Stadium, Hyderabad. Read the complete post to find out who will win today. In today’s Delhi Capitals (DC) vs Sunrisers Hyderabad (SRH) Dream11 Prediction we have covered predicted playing 11 of DC vs SRH, pitch report of Rajiv Gandhi International Stadium, Hyderabad, weather report of Hyderabad, the best choice of captain and vice-captain, players recent and past performance, players injury updates. If we are looking for Hyderabad vs Delhi full squad, SRH vs DC latest news, who will win today, toss prediction, astrology prediction, Dream 11 free grand league team then you are at the right place. The last two matches were outstanding for Delhi Capitals. They have won last two matches back to back. They have played 7 matches, won 4 and lost 3 matches. They are in the fourth position of the points table with eight points in their pocket. They have won their last match against KKR by seven wickets. Prior to that, they have won against RCB by four wickets and lost against SRH by five wickets. Shikhar Dhawan, Rishabh Pant, Shreyas Iyer, Prithvi Shaw and Colin Ingram are the top scorers of the Capitals team. They have scored 249, 222, 221, 183 and 138 runs. Kagiso Rabada, Chris Morris and Ishant Sharma are the top wicket-takers. They have taken 13, 8 and 5 wickets. On the other hand, the middle-order batsmen have disappointed the Sun Risers team management. 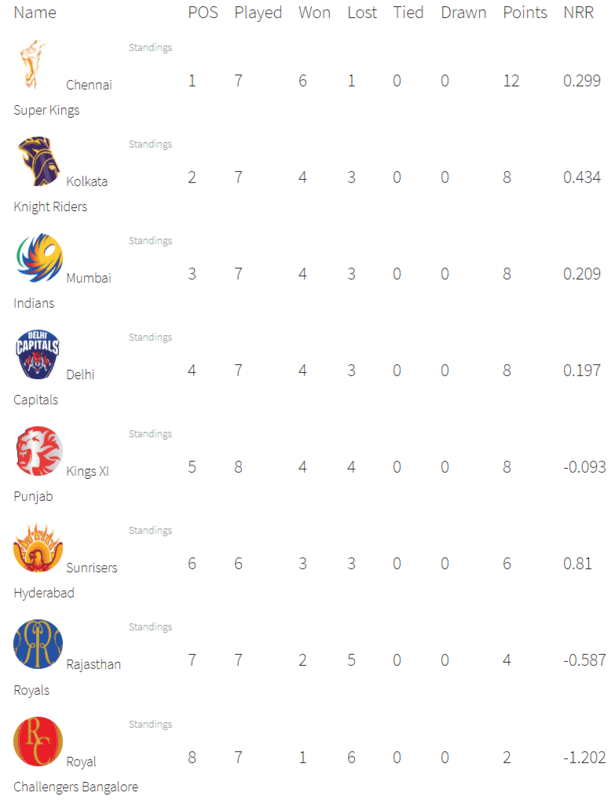 They are in the sixth position of the points table with six points in their pocket. They have played six matches, won 3 and lost three games. They have lost their last two matches back to back. They have lost their last match against KXIP by six wickets. Prior to that, they have lost against MI by 40 runs and won against DC by five wickets. David Warner, Jonny Bairstow and Vijay Shankar are the top scorers of the Sunrisers Team. They have scored 349, 263 and 131 runs. Sandeep Sharma and Rashid Khan are the top wicket-takers. They have taken 8 and 5 wickets respectively. Shikhar Dhawan, Rishabh Pant, Shreyas Iyer, Prithvi Shaw, Colin Ingram, Kagiso Rabada, Chris Morris and Ishant Sharma are the key players of Delhi Capitals Team. The Delhi Capitals team management may play with the same winning combination. Prithvi Shaw, Shikhar Dhawan and Rishabh Pant will lead the batting department. Kagiso Rabada and Ishant Sharma will lead the bowling department. Shreyas Iyer and Shikhar Dhawan are the most valuable players of the DC team. Batsmen: Prithvi Shaw, Shreyas Iyer, Shikhar Dhawan, Colin Ingram. All-Rounders: Chris Morris, Axar Patel, Rahul Tewatia. Bowlers: Kagiso Rabada, Ishant Sharma, Keemo Paul/Sandeep Lamichhane. Shreyas Iyer(c), Prithvi Shaw, Jagadeesha Suchith, Ishant Sharma, Shikhar Dhawan, Trent Boult, Rishabh Pant(w), Manjot Kalra, Avesh Khan, Colin Ingram, Jalaj Saxena, Chris Morris, Sandeep Lamichhane, Axar Patel, Kagiso Rabada, Rahul Tewatia, Colin Munro, Amit Mishra, Keemo Paul, Sherfane Rutherford, Hanuma Vihari, Nathu Singh, Ankush Bains, Bandaru Ayyappa. Kane Williamson, David Warner, Jonny Bairstow, Vijay Shankar, Sandeep Sharma and Rashid Khan are the key players of Sunrisers Hyderabad Team. Kane Williamson is fit to play and will lead the SRH team. The Sunrisers team management may make a couple of changes in their playing 11. Abhishek Sharma may replace Yusuf Pathan and Khaleel Ahmed may replace Siddarth Kaul. Kane Williamson, David Warner and Jonny Bairstow will lead the batting department. Vijay Shankar and Abhishek Sharma will play as a key all-rounder. Rashid Khan, Bhuvneshwar Kumar and Sandeep Sharma lead the bowling department. David Warner and Jonny Bairstow are the most valuable players of the Sunrisers team. Batsmen: David Warner, Kane Williamson, Manish Pandey, Deepak Hooda. All-Rounders: Vijay Shankar, Abhishek Sharma. Bowlers: Bhuvneshwar Kumar, Rashid Khan, Sandeep Sharma, Khaleel Ahmed. Bhuvneshwar Kumar, David Warner, Martin Guptill, Jonny Bairstow(w), Shakib Al Hasan, Billy Stanlake, Vijay Shankar, Kane Williamson, Manish Pandey, Wriddhiman Saha, Yusuf Pathan, Abhishek Sharma, Deepak Hooda, Basil Thampi, Mohammad Nabi, Sandeep Sharma, Rashid Khan, T Natarajan, Shreevats Goswami, Siddarth Kaul, K Khaleel Ahmed, Ricky Bhui, Shahbaz Nadeem. The pitch of Rajiv Gandhi International Stadium, Hyderabad was good for batting in the first two matches but in the last game, the wicket was slow and sluggish. Today the pitch will favour the batsmen and the bowlers may struggle to take wickets. The weather of Hyderabad is forecasted to be mostly cloudy and it will remain the same throughout the day. There is no sign of rain today. The temperature is expected to be 35-Degree Celsius and the humidity to 27%. Fantasy Cricket Tips: The weather condition may seam bowlers. According to crix11 astrology cricket match prediction, Sunrisers Hyderabad will win the match today. Delhi Capitals win the toss and opt to field first. You May like to read all cricket match prediction.